An individual retirement arrangement is a savings plan designated for retirement purposes. By designating it as retirement savings and giving up the freedom associated with typical savings accounts, individuals receive preferential tax treatment. The type of plan – whether traditional IRA or Roth IRA – will determine the timing of the tax preference. Traditional IRAs provide the account holder with a tax deduction in the year the contributions were made, while Roth IRAs do not provide an up-front deduction, but allow for tax-free distributions at retirement. 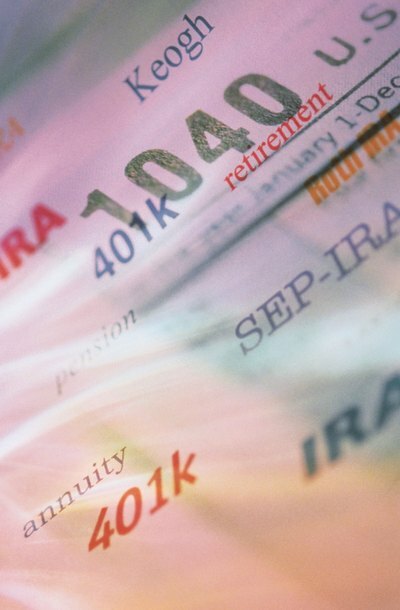 Given the tax benefits, individuals may contribute to an IRA until they reach age 70 1/2. Beneficiaries are the designated recipients of an IRA if the account holder passes away. These IRAs are called inherited IRAs. A beneficiary can be an individual or a group of individuals as well as a trust or estate. While many IRA owners simply leave it to spouses or children, some individuals engage in more sophisticated estate planning. Accordingly, a trust may be the ideal beneficiary for an IRA in order to protect the account’s assets from creditors or even to place restrictions on how the beneficiaries may use the account's assets. Because of the tax benefits, federal law requires that the IRA makes minimum distributions. These required minimum distributions are based on a variety of factors, including the type of person or entity that receives the IRA, relationship of that person with the account holder and ages of the beneficiary and account holder. The minimum that must be taken by the beneficiary each year is called the required minimum distribution. These distributions are included in your taxable income except for the part that was taxed before or allowed to be received tax-free, such as a Roth account. Spouses are afforded the most flexible rules with respect to being an IRA beneficiary, as they have more options with respect to what they can do with the IRA. Spouses can elect to be treated as the account holder. They may roll over the inherited IRA into another IRA, which would allow them to continue making contributions if they are not yet 70 1/2 years of age. Spouses are also allowed to remain a beneficiary, cash out the inherited IRA or give an inherited IRA to another person. If the spouse remains a beneficiary of the inherited IRA, she will be allowed to defer taking distributions until age 70 1/2 if the account has been rolled over into her own IRA. Otherwise, the spouse can receive distributions when the late spouse would have turned 70 1/2. The required minimum distribution rules are less flexible for IRA beneficiaries who are not the account holder's spouse. If you are the nonspouse beneficiary of an IRA, you must rename the IRA in your name along with the name of the person from whom you inherited the IRA. Nonspouse beneficiaries may change the bank or financial institution that holds the IRA; however, it must be done through a direct transfer. Otherwise, federal law provides that if you receive the funds -- even if you intend to move them into another IRA -- you will be subject to immediate taxation on the entire amount and possibly penalties, depending on your age. Nonspouse beneficiaries -- including estates or trusts named as a beneficiary -- are more restricted than spouses. They must receive the entire IRA before the end of the fifth year after the account holder’s death if the account holder had not reached the age when required minimum distributions were to start. If the account holder had started taking distributions from the IRA, the period by which the account holder receives a distribution is based on actuarial tables based on the beneficiary’s remaining life expectancy. Your irrevocable trust is a permanent agreement that describes how your trust assets are managed, identifies who receives the trust's contents and appoints someone to oversee the trust –– known as the "trustee". You can't directly transfer an IRA account to your trust during your lifetime, but you can name the irrevocable trust as the IRA's beneficiary when you die. In this way, the entire account balance that would normally pass to your beneficiaries as lump sum, and on which they would have to pay taxes, goes, instead, to the irrevocable trust. IRS rules allow the beneficiary to take minimal annual distributions from the trust. These distributions continue over the expected lifespan of the oldest beneficiary of your trust, thus lowering, and sometimes eliminating, taxes. Planning for distribution of your assets after your death can be a complex and confusing process. Naming beneficiaries for each of your bank accounts is perhaps the simplest, and most important, step you can take to protect your assets and ensure they are passed properly to the intended recipients following your death.